In the new digital economy, the Canadian cultural sector needs workers with a hybrid of technology, management and creative skills. The Cultural Human Resources Council (CHRC) of Canada is conducting a major national study with Nordicity to measure the “Impact of Emerging Digital Technologies on the Cultural Sector.” I spoke with Susan Annis, Executive Director of CHRC this week to learn about the challenges that the Canadian cultural workforce faces in acquiring new digital skills and what programs the CHRC is planning to help address those challenges. According to Annis, “the Canadian cultural sector is going through a digital sea change. As a result, it is the hybrid cultural worker who will rise to the top.” The Canadian cultural industry is broken-out into eight sub-sectors including Live Performing Arts; Writing and Publishing; Visuals Arts and Crafts; Film, Television and Broadcasting; Digital Media; Music and Sound Recording; and Heritage. Annis says that every cultural sub-sector is being impacted by the growing need for computer literacy and digital expertise. One of the biggest challenges that the Canadian cultural workforce faces is the issue of managing digital copyrights. The proposed Copyright Modernization Act (Bill C-32) will attempt to address this issue. However, there are steps that the CHRC can take to help educate Canadian cultural workers about digital rights management and provide them with the skills to retain and grow revenue for their work. Many Canadian artists are already on the cutting edge of digital technologies. However, Annis says that there are cultural producers in certain sub-sectors who will require more digital technology training than others – especially when it comes to managing, retaining and distributing the digital rights to their work. The CHRC is developing pilot training programs to help address some of the digital rights and distribution challenges that the industry currently faces. Once the content is perfected, the CHRC plans to roll-out the courses to major digital media and professional associations across all of the provinces. 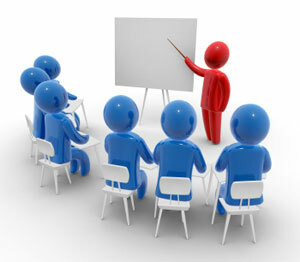 These training programs will initially be provided online. Annis explained that it has been difficult to quantify where the biggest gaps are for training the Canadian cultural workforce to date. She said that the CHRC is working to develop measurable data points to help get stronger support and funding in the future. However, the courses outlined above are where the CHRC currently sees the most demand for education. Ultimately, Annis says that we need to “create standards of excellence where the arts and technology can grow together.” She believes that training needs to start at the high school level, where the arts can be integrated with technology in the classroom. The CHRC is currently putting together a list of recommendations on how to reach these cultural standards of digital excellence. If you want to hear from Susan Annis and participate in the conversation about what digital training is required for the Canadian cultural workforce, you can meet her at the Canada 3.0 (www.canada30.ca) Conference in Stratford in May. How do you think the CHRC can prepare Canadian cultural workers for the digital future?